It has been a wild time in the festival universe. 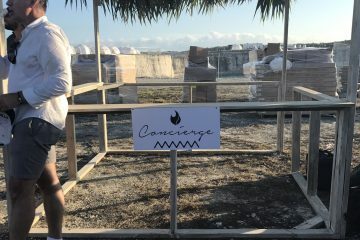 Back in 2017, Fyre Festival, a promised celebrity all-inclusive luxury experience festival, went up in flames-pun intended. The creator of the festival, Billy McFarland, was recently sentenced to six years in jail for the immense amount of fraud that was committed. 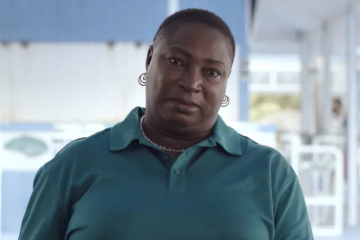 Hulu and Netflix each released their own documentary a few days apart, giving a more in-depth view of the biggest festival scam of our generation and how it happened. To give both streaming services credit, both documentaries were must-sees for their own reasons. Now, we may get one more film that involves the infamous disaster. The Lonely Island, the comedy trio, and Seth Rogen are reportedly working on a Fyre spoof film. This is not completely new news. In 2017, right in the heat of the social media reports of the chaos that was occurring in the Bahamas, Rogen tweeted out that he was making a movie with The Lonely Island about a festival that goes horribly wrong. The trio even tweet back jokingly that Fyre was stealing their idea. Taccone himself has seen the Netflix documentary three times and still can’t believe the crazy situation that unraveled. He imagines the movie similar to The Lonely Island’s Popstar: Never Stop Never Stopping. Given the success of The Lonely Island’s comedy and how that would only excel teaming with Seth Rogen, we can’t wait to see what fire will get produced for this film.